A Fibre-like styling crème that will hold, thicken and increase fullness to hair. Strong and pliable hold. Rub a small amount evenly between palms, using friction to warm and soften the fibre. Work into hair. Apply evenly through damp or dry hair. Washes out easily. Low fragrance. Do you have your own packaging? No problem! We can fill small quantities! 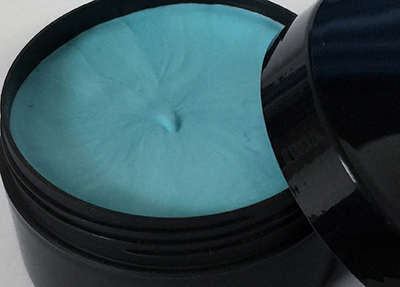 A wax based styling product, enhancing hair colour and giving a soft and flexible hold. Apply to dry or towel dry hair hair. Style as you wish. Washes out easily. Works all day, allowing restyling without reapplication. Washes out easily. Gorgeous toffee fragrance. An excellent version of a timeless classic. Orange fragrance. Strong hold. Fast drying. Apply to dry or towel dried hair. Style as you wish, air or blow dry. Washes out easily. For amazing pliable STRONG hold and control, shape and re-shaping clay for definition and texture. For All hair types–strong enough to control even course and thick hair! Take a small amount and warm in the hands, spreading evenly over the palms. Work into hair. Add additional clay for extra definition and boost. Washes out easily. Low fragrance. A styling crème that will hold, thicken and increase fullness to hair. Flexible medium hold. Apply with dry hands to dry or towel dried hair. Rub a small amount evenly between palms, using friction to warm and soften the paste. Work sparingly into hair. Washes out easily. Low fragrance. A paste-like styling crème that will hold, thicken and increase fullness to hair. Strong and pliable hold with a very matte almost invisible finish. Apply with dry hands to dry hair. Rub a small amount evenly between palms, using friction to warm and soften the paste. Work sparingly into hair. Washes out easily. Fragrances with melon. Use a small amount, create flexible rough look styles with versatility and good hold. Apply to dry or towel dried hair. Style as you wish. Works all day. Washes out easily. Gorgeous fragrance of bubblegum. An extreme hold styling crème that will enable the user almost absolute freedom to create! Exceptionally strong, and yet can be gentle and flexible depending on how you apply! for fierce hold: use dry hands to apply a small amount to dry hair, applying exactly where needed. For flexible hold: use damp hands and towel dried hair! Your style will feel flexible and natural. Washes out easily. Fruity fragrance! AKA freeze spray or a gel spray! Spray 6 inches from dry hair to fix your style, or using your hands, work through damp hair to style. Spray - for that surfer look absolutely invisible! Washes out easily. No fragrance. A blend of warm, spiced bay leaves, clove and sweet orange oil. By blending essential oils and fragrances, gentlemen have been using HairTonic for over 100 years to maintain and care for healthyhair.Invigorates and stimulates the scalp. Apply to the hair daily, comb through and massage gently into the scalp with fingertips. Aromatic hair and scalp tonic is a blend of lemon, lemon grass and other oils to produce that traditional Turkish Feel. CustomTonics available - please ask! Lather is everything when shaving with a straight razor.The cardinal rule is to never let the lather dry or become too thin, or your razorwon't work. Dip a badger hair shave brush in warm, not hot, water and use it to apply emulsified shave cream and water as a thick lather to your beard. Apply another layer of emulsified cream and you're ready to rock and roll. Steric Acid, DeionizeWater, Glycerine, Potasium Hydroxide (%45), Oleum Coco, Propylene Glycol, Sodium Hydroxide (%15), Fragrance, 2-Bromo-2-Nitropropane-1, 3 Diol Methylchloroisothyasolinone. Low foam gels allow for precision shaving so you can see exactly what you are doing-you will be shaving with pin-point accuracy -goatees, moustaches or even certain“sensitive”parts, you now have the tool for the job. Dampen skin, apply gel generously and youare ready to rock and roll. Aqua, Glycerin, Aloe Barbadensis (Leaf) Extract, Sodium Laureth Sulfate, Acrylates/C10-30 Alkyl Acrylate Crosspolymer,Cocamidopropyl Betaine,Triethanolamine, Eucalyptus Globulus (Leaf) Oil, Melaleuca Alternifolia (TeeTree) Leaf Oil,Mentha Piperita (Peppermint) LeafOil, Benzophenone-4,Triethylene Glycol, Benzyl Alcohol, Propylene Glycol,Methylchloroisothiazolinone, Sodium Chloride, Sodium Hydroxide, Magnesium Nitrate,Magnesium Chloride, Potassium Sorbate, Citric Acid, CI 60730, CI 42090. No shave is complete without the application of a moisturising balm to soothe skin, reduce redness, razor burn and heal any painfulnicks and cuts. Easily absorbed. Fragrance free. Aqua, Butyrospermum Parkii (Shea) Butter, Prunus Amygdalus Dulcis (Almond) Oil, Olea Europaea (Olive) Oil, Glyceryl Stearate, Cetearyl Alcohol, Glycerin, Aloe Barbadensis (Aloe) Leaf Extract, Xantham Gum, Phenoxyehanol, Ethylhexylglycerin, Parfum. Three in one shave oil, can be used on its own or under shaving cream and as a post shave serum.Warm a few drops of oil in the handsbefore gently smoothing and massaging into the whiskers.Wait a few moments for the oil to begin preparing the stubble. Shavecarefully in the direction of the hair growth. Rinse your blade frequently. Customised oils are also available, but we will need to discuss it - so please give us a call! Warm a few drops of Beard Oil in the hands before gently smoothing and massaging into the beard. For best results brush into styleusing a Beard Brush. Peppermint with lemon and cinnamon. We can make beard oil to your requirements - perhaps you require the health benefits of natural aromatherapy oils, or you simply would like your beard oil to emulate your favourite aftershave? If we hold the oils, the minimum order is only 50! Beard butter is one of the best products out there for keeping your beard nourished and moisturized, and this results in a beard that’s softer and stronger than one without any proper upkeep. 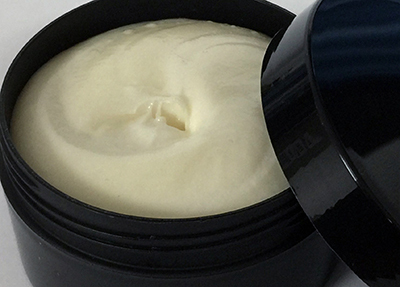 Apply a small bit of beard butter — just about enough to fit perfectly on your fingertip. A little goes a long way with this product. Rub it throughout both your palms. The main goal here, is to really coat both of your hands in the butter so you get a smooth application when applied to your beard. Massage this into your facial hair to ensure every strand is coated. You can then comb your beard. 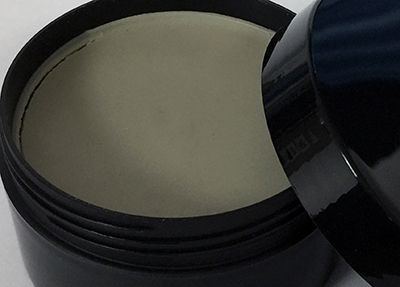 Softer than Beard butter, Beard Cream is one of the easiest products to apply, which will keep your beard nourished and moisturized, and this results in a beard that’s softer and stronger than one without any proper upkeep. Apply a small bit of beard cream — just about enough to fit perfectly on your fingertip. A little goes a long way with this product. Rub it throughout both your palms. The main goal here, is to really coat both of your hands in the butter so you get a smooth application when applied to your beard. Massage this into your facial hair to ensure every strand is coated. Then comb. Custom Blends are also available. Please talk to us. SLS free or SLES free beard shampoos, are one of the hottest developments in male cleansing products today. Health-conscious consumers are increasingly concerned about the chemicals in everything they use, from food to grooming products. This amazing high end beard care shampoo is exceptional! Without the use of so many generally accepted ingredients, our formula will not only cleanse, but will also leave an amazing post wash softened feel. Many formulas can contain large amounts of salt (sodium chloride) which is of course can have a drying effect to both the whisker and skin, but as we have excluded this ingredient, we help the body’s natural maintenance and condition of the beard. SLS, SLES, Sodium Chloride and Paraben free! Shampoo: Only a small application is required for an exceptional wash. Wet the beard, apply a small amount of the shampoo, lather, rinse - Repeat. Aqua, Ammonium Lauryl Sulphate, Cocamidopropyl Betaine ,Coconut Diethanolamide, Polyquaternium-7,Silicone Quaternium-22, PEG-120 Methyl GlucoseTrioleate, Propylene Glycol,Phenoxyethanol. Amodimethicone, Cyclomethicone, Cyclopentasiloxane Dimethiconol, Argania spinosa (Argan) Nut Oil, Parfum. Customised blends are also available, but we will need to discuss it - so please give us a call! Firm enough forTea drinkers!Warm with a hair dryer, scrape a small amount with fingernail, work into moustache, style and shape asdesired. Store in cool dry conditions. Keep container closed to prevent drying. Customised waxes are also available, but we will need to discuss it - so please give us a call! After Tattoo Protection. 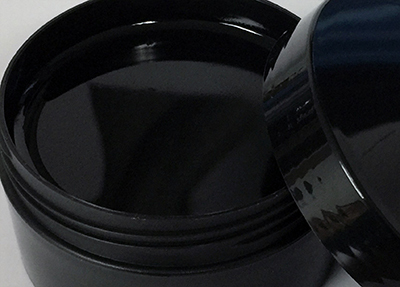 Warm and soften the salve between the fingers, then gently apply a thin layer to your new tattoo.This can berepeated as many times as necessary - to ensure that the tattoo remains moist for the first 48hrs. After 48hrs, apply tattoo Balm. Parafinium Liquidium,Tocopherol (vitamin E) Parfum. 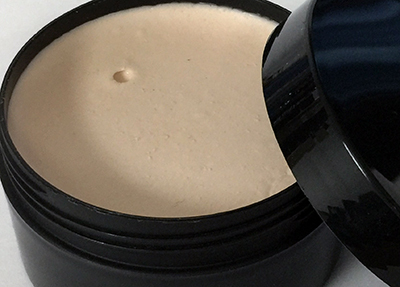 Completely natural balm to soothe, moisturise and feed the skin. Reduces redness. Easily absorbed. Fragrance free. 1. Clean Tattoo with soap and water and pat dry. 2. 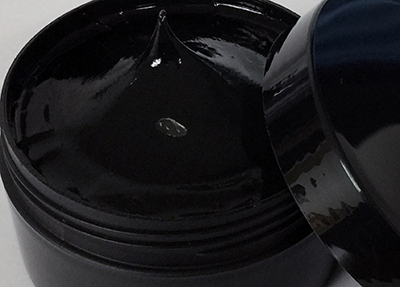 With clean hands, apply a thin layer of Tattoo Balm over entire tattooed area. Repeat steps 1&2 as needed until tattoo is completely healed. Aqua, Butyrospermum Parkii (Shea) Butter, Prunus Amygdalus Dulcis (Almond) Oil, Olea Europaea (Olive) Oil, Glyceryl Stearate, Cetearyl Alcohol, Glycerin, Aloe Barbadensis (Aloe) Leaf Extract, Xantham Gum, Phenoxyehanol, Ethylhexylglycerin. Soft and luxurious skin cleanser for vibrant, healthy skin made with English Lavender, English Chamomile and Sea Buckthorn.The natural phytosterols in sea buckthorn will help stimulate the natural skin repair process. Gentle and repairing facial cleansing. Aqua, Caprylic / capric triglyceride (Light Coconut Oil), Hamamelis virginiana (Witch Hazel) floral water, Glycerin, Stearic acid, Glyceryl stearate & PEG-100 stearate, Cetyl alcohol, Phenoxyethanol & Ethylhexylglycerin,Tocopherol (Vitamin E), Sodium bicarbonate, Hippophae rhamnoides (Sea Buckthorn) fruit extract, Lavandual angustifolia flower oil, Anthemis nobilis (Roman chamomile) flower oil, Eugenol*, Citral*, Geraniol*,Citronellol*, Limonene*, Linalool*. Naturally perfumed with the scent of organic Lavender. Application Directions:Apply to a cotton pad, then gently wipe across the face after cleansing and before applying moisturiser. Skin Suitability:All skin types, can be used to help soothe sensitive skin. Ideal for use after sunburn or skin damage. Ingredients Aqua, Lavendula angustifolia (Lavender) flower oil, polysorbate 20, linalool*, limonene*, geraniol* *occurs naturally in essential oils. Pure Neroli is rich in naturalVitamin C to encourage your skin to produce natural Collagen which aidshealthy, vibrant and wrinkle free skin.The natural collagen peptide is hydrolised, so that your skin is capable of quickly and effectivelyabsorbing it.With daily use you will soon see a visible difference in your skins tone and texture. Aqua, Aloe barbadensis (AloeVera) leaf oil & Sodium benzoate, Caprylic / capric triglyceride & Light Coconut Oil, Prunus armeniaca (Apricot) kernel oil, Glyceryl stearate,Stearic acid, Glycerin (Veg), Collagen (Marine), Cetyl alcohol, Carbomer, Phenoxyethanol & Ethylhexylglycerin, Dimethicone, Hippohae rhamnoides (Seabuckthorn) seed oil,Retinyl Palmitate (Vitamin A), Sodiumhydroxide,Tocoherol, Citrus aurantium (Neroli) peel oil, Citrus aurantium (Petitgrain) flower and leaf oil,Vetiveria zizanoides (Vetiver) root oil, Linalool*, Limonene*. Collagen, Pure AloeVera Gel and extract of Cucumber with natural brightening agents to brighten your eyes and repair the under eyeskin,combating the tell tale signs of fatigue and aging - fine lines. Our Collagen Eye Gel tightens the skin and improves the appearance offine lines by utilising natural ingredients which are rich inVitamins, Omegas and Anti-oxidants. Aqua, Aloe Barbadensis leaf extract & Sodium benzoate, Glycerin, Carbomer, Cucumis sativus (cucumber) fruit extract, Fucus vesiculuosus (Seaweed) Extract & Benzyl alcohol, Hydrolysed collagen (Marine),Phenoxyethanol & Ethylhexylglycerin, Polysorbate-20, Euphrasia officinalis (Eyebright) herb extract, Sodium hydroxide. A Balancing Facial Scrub. Normal to Combination skin with Ground Almonds and Olive Kernels to exfoliate, moisturise and balance theskin. Suitable for most skin types and spot prone skin. One to match each of our beard oils! ​Paraben, SLS, SLES, Salt free! Custom blends also available - just ask! We have a simple ethos - “Natural is Best”where possible we try to use only natural ingredients and aromatherapy oils. Our Natural formulas are suitable for ALL skin types.